الموضوع في 'كتب طبية' بواسطة ابو ابراهيم, بتاريخ ‏أكتوبر 30, 2011. "Histology: A Text and Atlas"
Trying to comprehend supersymmetry but feeling a bit off balance? Grab hold of this straightforward guide and learn the fundamental concepts behind this revolutionary principle. Written in an easy-to-follow format, Supersymmetry Demystified explains Weyl, Majorana, and Dirac spinors, notations, and supersymmetric lagrangians. Supersymmetric charges and their algebra are discussed, as are interactions and gauge theories. The book also covers superspace formalism, superfields, supersymmetry breaking, and much more. Detailed examples, clear illustrations, and concise explanations make it easy to understand the material, and end-of-chapter quizzes and a final exam help reinforce learning. 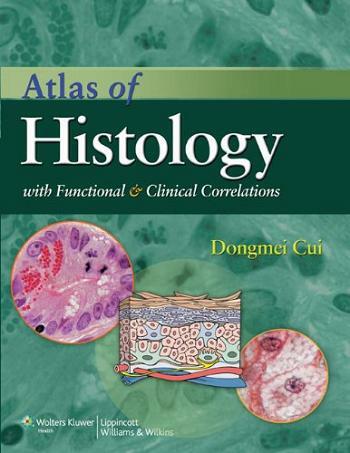 A comprehensive histology atlas...with EXTRAS! mann1 ،Alaa khalid94 و تهاني عوض معجبون بهذا.